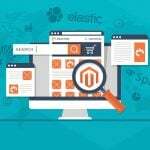 If you are looking for some core frontend improvements for Magento 2 which are reliable and budget-friendly at the same time, we recommend you to visit TemplateMonster. 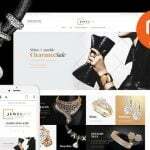 Of course, it is a place where people browse for Magento 2 themes and templates, but some Magento 2 extensions are available there as well. 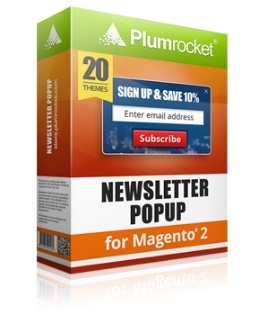 And today we shed light on the Magento 2 Newsletter Popup Extension by TemplateMonster. Also, check Best Magento Newsletter Extensions And Email Marketing Services and Magento 2 Popup Extensions Comparison. The original review is available below. 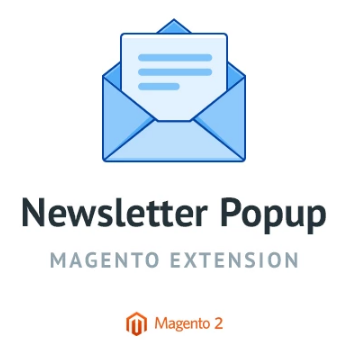 This Magento 2 Newsletter Popup extension provides a fully-featured backend where you can customize all parameters of your popup from its timeout to window width. Color, position, size, social buttons, and other settings are carefully gathered in the backend, so you can easily leverage them without any help from third parties. Let’s explore the admin side first. Go to Stores -> Settings -> Configuration -> TemplateMonster -> Newsletter Pop-Up. 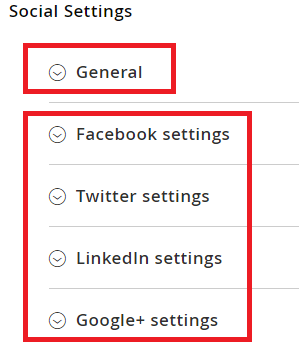 Here, you can see two tabs of settings: General and Social Settings. 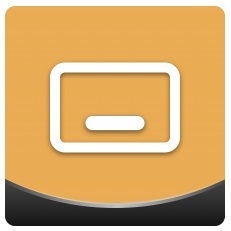 The General settings section illustrates the extension version and allows to enable/disable the module. 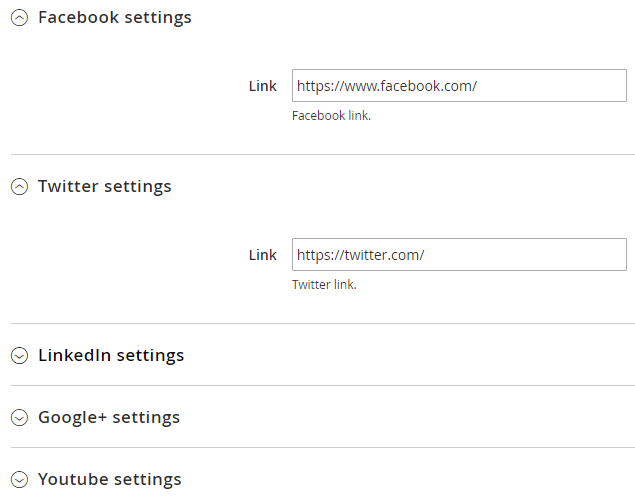 Besides, you can decide whether to show it on startup and footer. 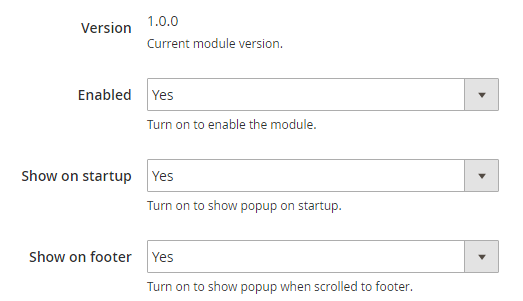 The first option allows showing the popup window on startup while the second one allows to show it when a visitor scrolls to footer. 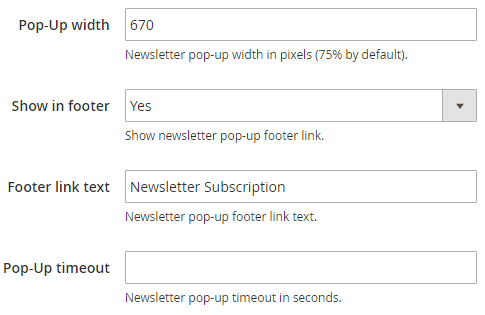 Next, specify the newsletter popup width in pixels, decide whether to show a newsletter popup footer link, specify some text for a footer link, and specify a newsletter popup timeout in seconds. Other two options allow you to set colors for button and button hover in hex format. Besides, it is possible to specify a custom CSS class for a newsletter popup. As for Social settings, they are divided into several sub-sections which can be split into two groups: General and Social Networks. 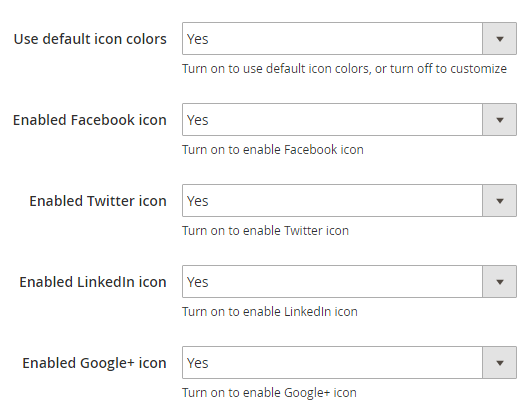 The first sub-section allows you to enable/disable the usage of default icon colors as well as show/hide an icon of each social network. 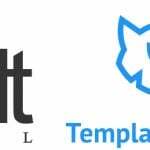 In each social network sub-section, the TemplateMonster Magento 2 Newsletter Popup extension provides the ability to place a link to a corresponding website. Now, when you are familiar with the settings of this Magento 2 Newsletter Popup extension, let’s take a look at its frontend appearance. After a specified timeout the newsletter subscription window appears on top of the home page. It contains a text field where a customer can leave his or her email address and the “Subscribe” button. Next to it, there is the “Cancel” button that helps to hide the window. The bottom part of the popup contains social buttons that redirect to appropriate social network. Scroll down to the page bottom and the same window will be displayed. TemplateMonster offers a very intuitive and easy to use Magento 2 module that can add a tiny popup window to every Magento 2 store. 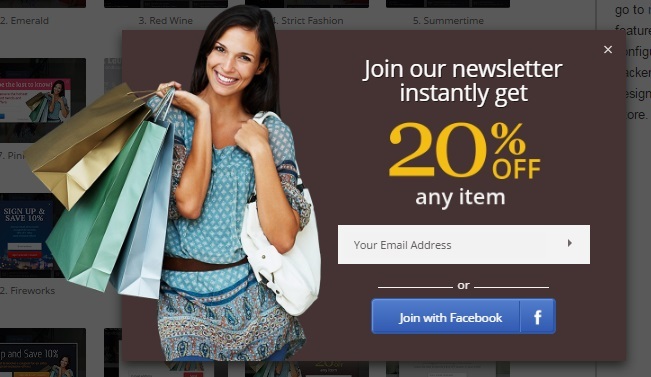 The Newsletter Popup Magento 2 extension works well and fully satisfy all modern requirements related to this part of subscriptions. As for the price, the Magento 2 module costs only $49.